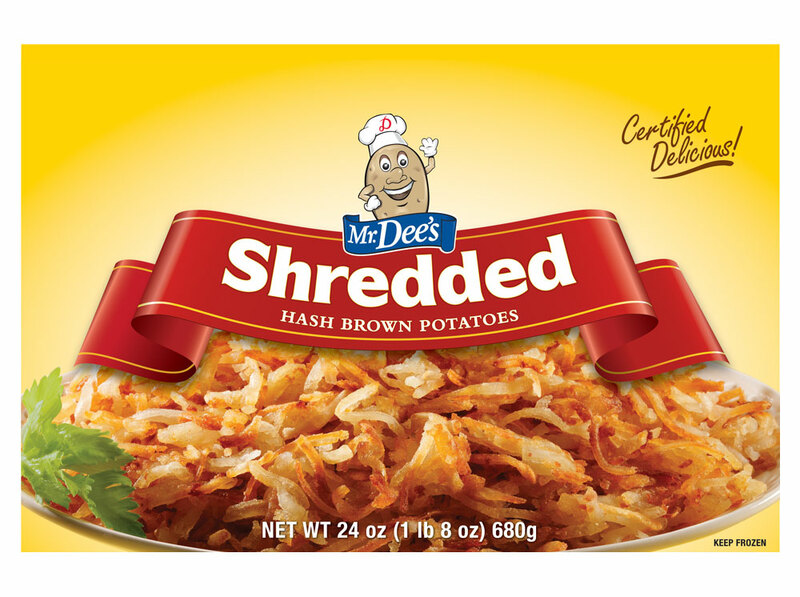 Mr. Dee's Shredded Hash Browns are crispy, flavorful, and easy to make. From freezer to table in just 10 minutes, our A-Grade potatoes are a great way to start your day. Available in retail (24 oz.) and club (5 lb.) sizes. POTATOES, DEXTROSE, DISODIUM DIHYDROGEN PYROPHOSPHATE (TO MAINTAIN NATURAL COLOR).